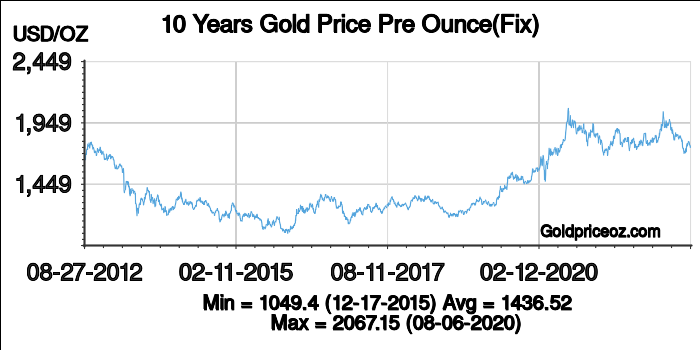 Gold prices history is a fully free service which is provided by the Gold Price OZ website. 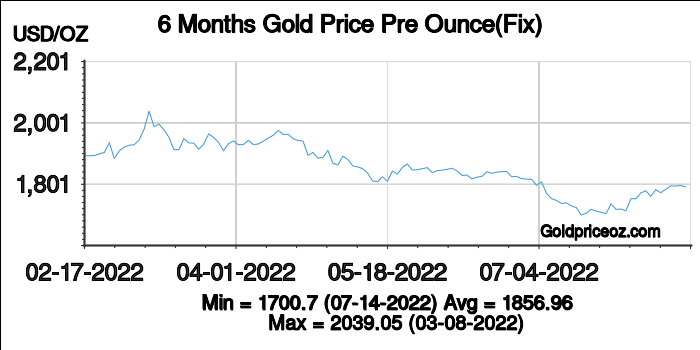 It shows gold price history charts (London gold fixing price) per ounce, per gram and per kilo in the majority of currencies; it also offers gold price history charts for the past 30 days, 90 days, 1, 5, 10 and 20 years. 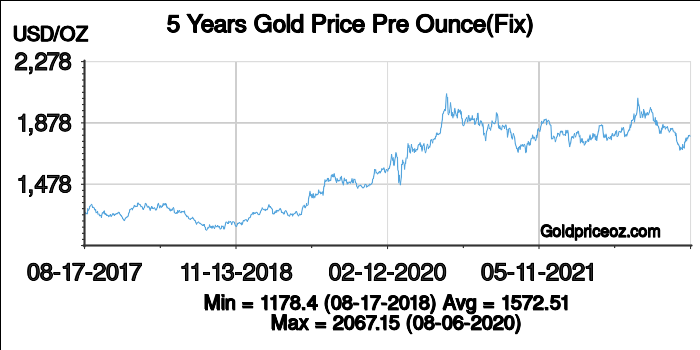 The unit of gold price weight is the troy ounce, commonly abbreviated as TOZ, informally used as OZ, which is derived from the Roman monetary system. Gram and kilo are also used as units of gold price weight. Equivalence between these measures is 1 OZ =31.1034768 grams, 1 kilo =1000 grams. There are many ways of defining the price of gold, such as bid price, ask price, gold spot price, gold fixing price and so on. 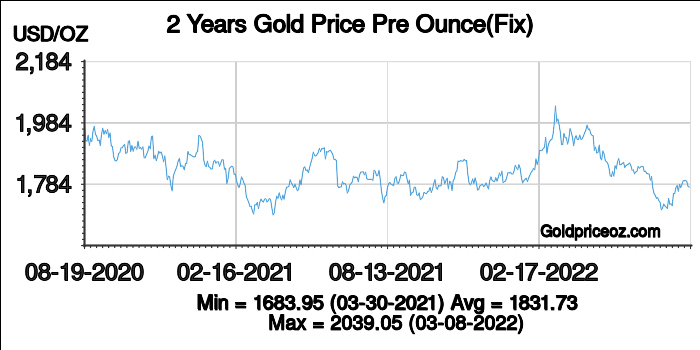 However, the gold fixing price is a benchmark for both the gold and gold-related goods transactions. The gold fixing price is also called “London gold fixing” which is agreed by the five members of the London Bullion Market Association. 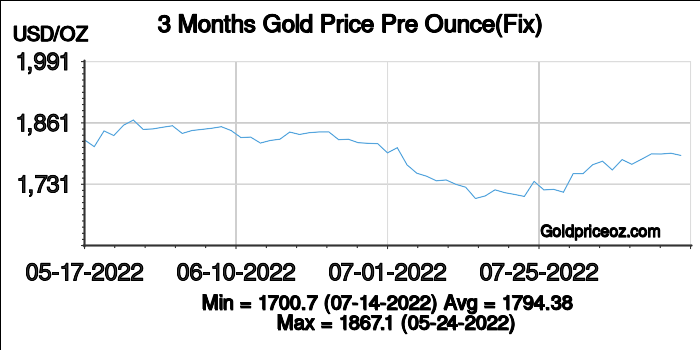 When supply meets demand, the gold price is fixed. The gold price is fixed twice a day at 10:30am and 3:00pm, London time (GMT). The fixed price is then published online, in newspapers and on the teletext services.